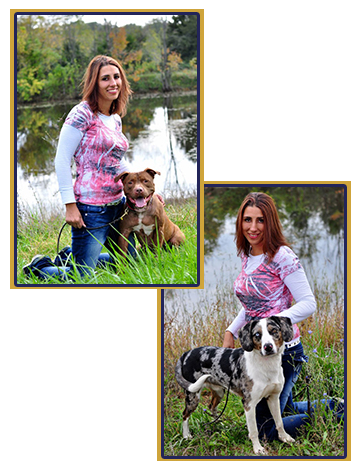 We believe successful dog training shows respect and love for your dog. In 2010 I adopted 2 pit bulls from a local dog shelter. These 2 dogs proved to be more dog than my past experience prepared me to handle. After much frustration and destruction I decided to take them to a professional dog trainer. The training experience and the progress made in about a week changed my concept of what successful dog training was supposed to be and turned out to be a major career changing event in my life. I had always loved and trained animals and thought I can do this better and started my research into elite dog trainer schools. During my search I found the Tom Rose School (TRS) in High Ridge, Missouri and decided to pursue the TRS Professional Program. 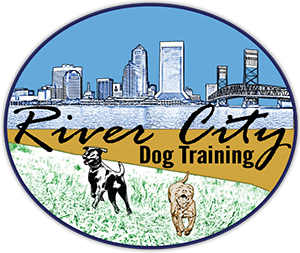 This program, working with dogs of all sizes, breeds and differing ages, was a great way for me to further my training experience and develop as a professional dog trainer. After graduating the TRS Professionals Certification Program, I decided to stay for the Master Trainer Certification Program as well, where I successfully passed higher level requirements working with advanced Pet issues, Scent-work, Competition Obedience, Tracking and Schutzhund. I now happily live here in Jacksonville with 4 awesome dogs: a hound mix, 2 pitbulls, and a black lab. We regularly compete in AKC, Scent-work and Hunt competitions and are always looking for new opportunities to learn and have fun.